Leicester-born Cox was a product of his hometown club's youth side that won the FA Premier Academy League in 2006/07. Whilst at the Walkers Stadium he also spent a short period on loan at Yeovil Town in 2009, without making a senior appearance, and returned to be released by the Foxes at the end of the 2008-09 season, having been unable to break into their first team. During the summer he moved to Inverness Caledonian Thistle in the Scottish First Division, where he became a teammate of future Argyle loanee Alex MacDonald. Playing 33 out of 36 games, he was a pivotal part of the Thistle side that won promotion to the Scottish Premier League in 2010. After a season in the SPL, taking his appearance total to 67 games and scoring 3 times, he returned south in January 2012, signing a two-and-a-half year deal with Swindon Town for an undisclosed fee, believed to be in the region of £50,000. Cox went on to play 7 times as Town won the League Two title under Paulo Di Canio. However, Di Canio's rapid re-building with a view to immediate progression out of League One saw Cox not even allocated a squad number for the following season and he was loaned to local rivals Oxford United on a six-month loan deal at the start of the 2012/13 campaign. He made 14 appearances for United, including the Johnstone's Paint Trophy Area Quarter Final penalty shoot-out win by Town at Home Park in December 2012. His loan period at the Kassam Stadium ended on 1st January 2013 and despite Oxford being keen to retain his services, an agreement could not be reached. 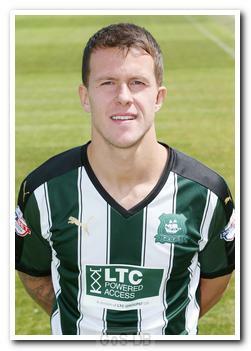 At the start of February 2013 he became John Sheridan's seventh signing and fifth loanee when he arrived on a deal until the end of the season, as Argyle attempted to secure their Football League survival. 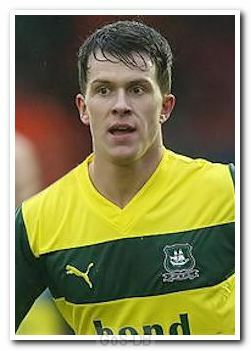 Cox played ten games for Argyle and become a key factor in the fight against relegation to the Conference, but his loan was curtailed when he tore shoulder ligaments in the home win against Exeter City, an injury that resulted in an early return to Swindon and six months out of the game. Cox's return for Swindon came in their Johnstone's Paints Trophy win against Argyle at The County Ground in October 2013, but was then left out until a league game in March 2013, which sparked a run of 5 games and his only goal for the club. This took his appearance total for the Wiltshire side to 12 before he was released at the end of the 2013-2014 season. John Sheridan wasted no time in making his move and the 23-year-old returned to Home Park on a two-year deal to become the manager's first summer signing for the 2014-15 season. Following Sheridan's departure, Cox found first team opportunities harder to come by under new manager Derek Adams, largely due to the arrival of Josh Simpson, Carl McHugh's emergence as a midfielder and the use of loanees Hiram Boateng and Oscar Threlkeld. As a result, in November 2015 he joined League Two rivals Stevenage on loan for two months. 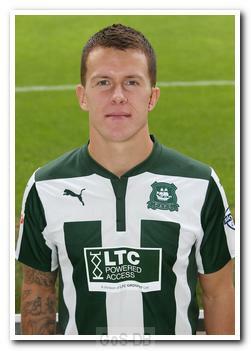 He went on to make six appearances for the club, returning to Home Park in early January when his loan expired. However, after less than a fortnight in which Argyle coincidentally played Stevenage (but he would not have been allowed to play against his parent club in any case), Cox returned to the Lamex Stadium on loan until the end of the 2015-16 season. Or so he thought. Just 11 days later, close to the end of the January 2016 transfer window, the loan deal was converted to a permanent transfer. Cox went on to make a further dozen appearances for Stevenage before moving in the summer of 2016 to National League North side Brackley Town. After just a few appearances for Brackley he moved to Southern League Premier side Coalville Town in July 2017.